“First of all, I would like to greet our respected Principal, our respected teachers, and my fellow classmates with a very good morning. We are gathered here to celebrate an auspicious occasion of our nation, the 69th Republic Day. I’d like to take this opportunity to greet all of you a very Happy Republic Day. I’m delighted to have the privilege to share a glimpse on the history of the Republic day of our glorious nation. 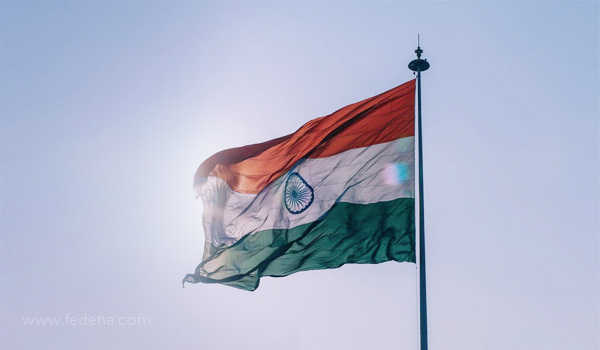 After achieving the independence from the British rule on 15 August 1947, India though didn’t have a permanent constitution, all the law were based on modified colonial Government of India Act 1935. But on 28 August 1947, the Drafting Committee was appointed to draft a permanent constitution, with the help of Dr. B R Ambedkar. After many modifications to the constitution, the final draft was signed by 308 members of assembly on 24 January 1950. Two days later, it came into effect throughout the nation. So let’s gather together on this joyous and momentous day, and take an oath to always maintain the sovereignty, which our country has achieved with priceless sacrifices and promise ourselves to make our nation celebrated through the world. With these humble words, I bow my head to the flag, and to every one of you I say, Jai Hind, Jai Bharat”. Learn More: How to transform your institution structure this Republic Day? “A very good morning to our respected Principal Sir/Madam, respected teachers, and all of my classmates. First of all, I would like to thanks my class-teacher who gave me this opportunity to recite some of my thoughts on the 69th Republic Day of India. The Republic day is one of the most patriotic days for all the Indian citizens since on this day India was declared secular, sovereign and a democratic country. But what does republic actually mean? It means that all the decisions are made by the representatives who were elected by the citizens of the nation, instead of elected by a hereditary monarchy. The decisions are in accordance with the laws of the constitution, declared on the day when the country became republic. Along with that, all citizens enjoy the fundamental rights such as right to equality, right to freedom, right to freedom of religion, cultural and education right, right to privacy, right to constitutional remedies and right against exploitation. All these rights not only render protection to common people but also prevent the human rights and make the life of the people peaceful and harmonious. Should school management software be institutionalized?